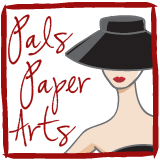 This week's Pals Paper Arts Challenge is to use and Embossing Folder -- or TWO! 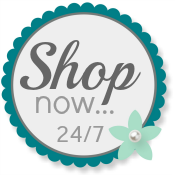 I love both the Perfect Polka Dots and the Elegant Lines Embossing folders from Stampin' Up! Perfect Polka Dots is great for any card, masculine or feminine and also for adding texture to any card, matte or die cut object such as a flower. It is very versatile! The Elegant Lines is great for adding elegance to any card, but is also wonderful to decorate with your pearls or rhinstones. Here I only used a portion of it so I could showcase both of the folders on this birthday beauty. Thanks for looking and please DO leave a comment, I love to read them! Stunning card Patti! Love the touch of pearls and the colors you used! Soft and pretty in pink and pearls! Love the vellum layered butterfly! Patti, I LOVE this card. Great use of only showing part of that elegant embossing folder. Love the colors and butterfly. Beautiful! Beautiful, Patti! So soft and feminine...classy and elegant! The pearls are the perfect touch! So pretty--the pearls & butterfly are nice touches to the elegant EF. Nice job, Patti! Beautiful color choice and the vellum is the perfect touch! This is a beauty of a card. I love the colors and embossing you chose! Pearls are perfect!! SO pretty Patti - I always love this color combo! Patti this is so pretty. Love pink and grey... but the vellum butterfly and touch of pearls makes this so beautiful. Hugs.